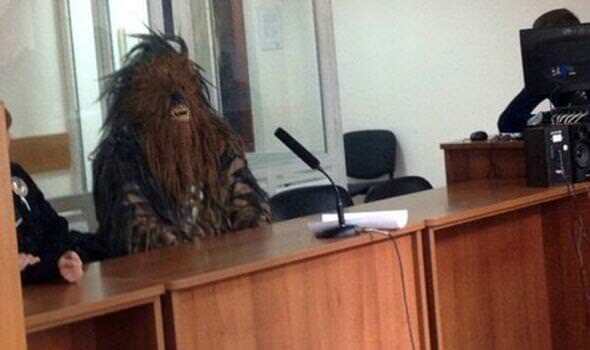 I don’t know if you’ve seen this, but in Ukraine, a man dressed up as Chewbacca has been arrested under the fact that he was trying to campaign for Darth Vader. The video of the moment is going viral all over the internet at the moment as this absurd situation arises. Oddly enough, the actual event is no sort of publicity stunt on Disney’s front and is merely some crazy man in Ukraine attempting to get some self publicity. As you can see from the video, the enormous furry creature initially resisted arrest but was soon thrown onto the front of a car by four policemen. What makes this video even greater is that in the background, someone is playing the Star Wars theme tune, making this moment ever more hilarious and unbelievable. ‘Chewbacca’ was arrested under the account that he was illegally politically campaigning. To be specific, ‘Chewie’ was canvassing votes and this is not found legal in Ukraine. On top of this, he refused to pay the £5 fine that he was slapped with and this is why we seeing him being detained here in the video. The whole idea is just quite hilarious really. What makes it even more brilliant is that he stayed in the costume throughout the whole court process too. On top of this already crazy video, later that day, Darth Vader, yes the masked, asthma-suffering villain from the same franchise kicked up a fuss when he didn’t see his name on the ballot papers. 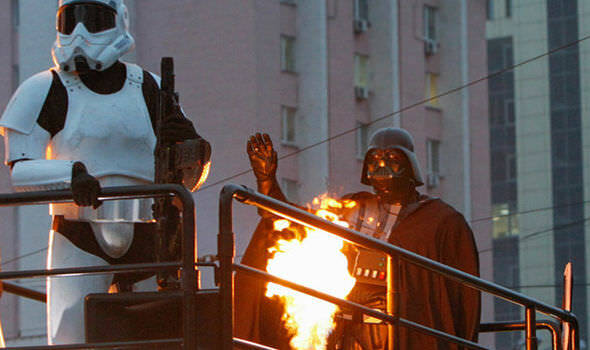 He was told and refused official political campaigning on behalf that he didn’t have a legal passport as Darth Vader. What’s even more shocking is that he later presented evidence that he did, in fact, have a passport under this name. Apparently Yoda, Padme Amidala and Darth Vader are all part of the same party and have been for a few years now. 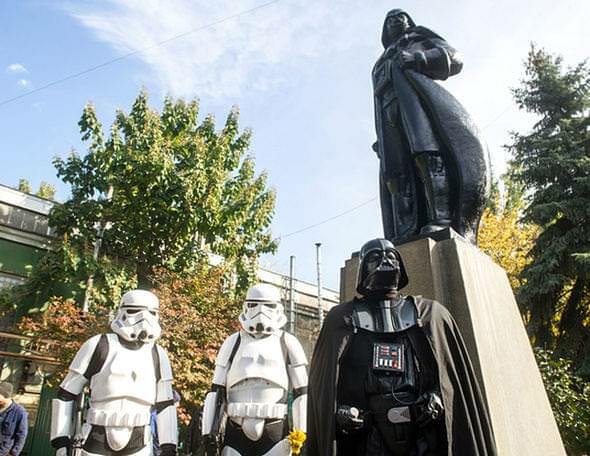 In fact sculptor, Oleksandr Milov, has said the Darth Vader movement “has been at the centre of Ukrainians’ attention for many years” and has produced a sculpture of the famed masked villain which acts as a Wi-Fi hotspot. This whole story almost seems too good to be true, but we assure you this is all true and brilliantly so. We’ve got to wonder why there’s no such political party in the US, that would certainly make the runnings more interesting with the hype of Star Wars as of late. The nominees have been announced and we feel that there are some artists who deserved more recognition than they got so here they are. 10 Most Googled Celebs Of 2015 – You Were Not Expecting #4 Were You?